(Bloomberg) – Claims that South Africa’s white farmers face an onslaught are “far from the truth” and shouldn’t be used to distort the government’s land-reform measures, Deputy President David Mabuza said. Land restitution “will be done within the confines of our constitutional framework,” and the ruling African National Congress “will not support ‘land grab’ processes intended to undermine the economy and the work of the agriculture sector,” Mabuza told farmers at a meeting Thursday near Bela Bela, in Limpopo province north of Johannesburg. 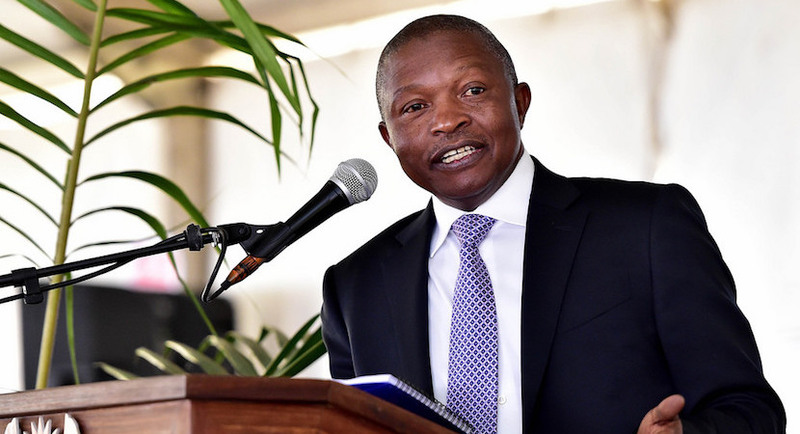 Mabuza’s comments follow a tweet by US President Donald Trump that he had asked Secretary of State Mike Pompeo to study land seizures in South Africa, raising concerns of possible sanctions. “We would like to discourage those who are using this sensitive and emotive issue of land to divide us as South Africans by distorting our land reform measures to the international community, and spreading falsehoods that our ‘white farmers’ are facing the onslaught from their own government,” Mabuza said. The government would also safeguard the estimated R460 billion ($32 billion) worth of investment in agricultural assets and would protect the sector to prevent any contraction and threat to food security, he said.